For rent : Shop house 4 storey 192 sqm Sukhumvit 31 Rd. ขายอาคารสำนักงาน 3 ชั้น เนื้อที่ 100 ตร.ว. พื้นที่ใช้สอยกว่า 600 ตร.ม. หน้ากว้าง 16 ม. ลึก 25 ม. * 36.4 Sq.w. 170 Sq.m using area. * 3 Stories townhouse 3 bedrooms 4 bathrooms fully furnished with good quality electric appliances , ready to move in. * The townhouse is in the lovely small compound, Plus City Park Rama9 - Hua Mak , with great security services, cctv system and 24 security guard service. * ใกล้รถไฟฟ้าบีทีเอส สถานีอ่อนนุช 900 ม. * โลตัส อ่อนนุช 900 ม.Century The Movie Plaza สาขาอ่อนนุช 900 ม. * บิ๊กซีอ่อนนุช, ตลาด อ่อนนุช 700 ม. Interest, please contact Nuttanun W.
ขายด่วน! อาคารพาณิชย์ 3.5 ชั้น เนื้อที่ 28 ตร.ว. 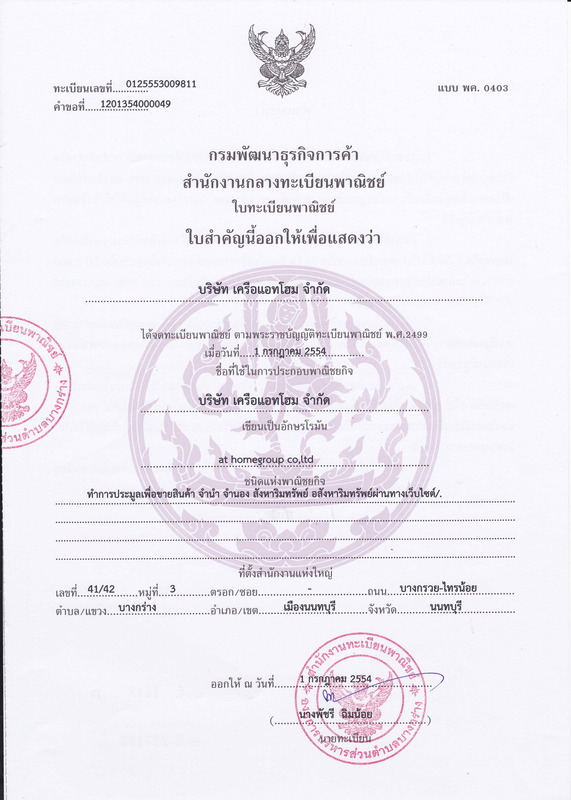 * ระบบ CCTV / Access Card และเจ้าหน้าที่รักษาความปลอดภัย 24 ชม. Facilities at La Vie En Rose Place include: elevator, parking, 24-hours security, cctv, key card access, swimming pool, sauna, gym, garden / bbq, multi purpose room, wi-fi. Common fee is ฿35 per sqm per month. Location :: La Vie En Rose Place conveniently located at Sukhumvit 36 , just within 490 m or about 6 minutes walk from the Thong Lo BTS station . If you drive, the nearest tollway entrance is located 2.4 km from the condo. Surrounded by good restaurants , international schools and leading department stores. Developer : National Union Co., Ltd.
ที่ดินประมาณ ประมาณ 3 ไร่ 1 ตร.ว. * ระบบ CCTV / Access Card / รปภ. 24 ชม.